Would you like to order a wine? Feel free to take a look in our online archive. By using the search criteria you will find that one exclusive vintage your client is looking for, the ultimate surprise for a special event or just to collect a great treasure from the past. 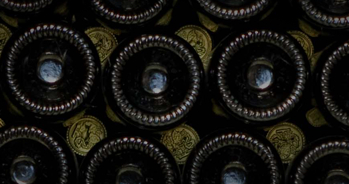 Click here to get in contact with our Archive Wine ambassador to get informed on the possibilities. We will be happy to make you our customized offer, which is based on the order quantity, the selected wine, the vintage and the available stock in our cellar. In case of any other questions or requests, please don’t hesitate to contact us. Imagine you’re strolling around the archives of p&f wineries. The moment that you enter the cellars, you feel as if you are a part of something exceptional – the soft light, the striking scents and the old, dust-covered bottles all contribute to this unique atmosphere. Hold your breath for a moment, keep very quiet, and you can hear the wines mature. It is here that p&f wineries keeps its best of the best, and we are keen to share them with the world. And that’s why we’ve opened up our archives, which hold exclusive white wines dating as far back as 1959. Whether you’re looking for a special something for yourself or a great gift for someone else, just browse through this online version of our archives. Please take your time and wander around, examine our wines, read the descriptions – there is a very good chance you will find a wine that is perfect for you. Curious about our new wines?